When Chevrolet’s next-generation flagship sedan, the Impala, launches in the spring of 2013, it will bring with it the latest in personalization and infotainment in the form of the latest MyLink system. 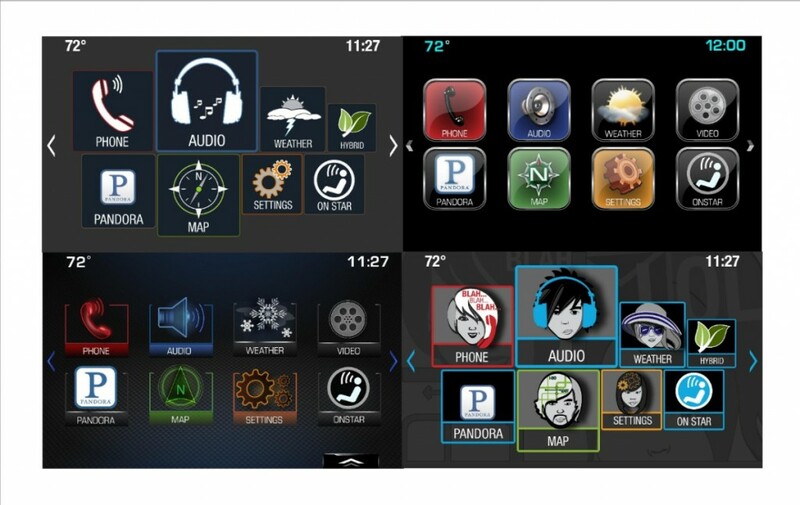 Designed to be easier to use than before, the next-generation MyLink infotainment system can also link up to 10 devices. It can store up to 60 “favorites” as well. These include AM, FM and XM radio stations, phone contacts, destinations, music and even other forms of media. The Impala’s MyLink system will be displayed from either a standard 4.2-inch LCD screen, or if the customer opts for it, an eight-inch touch screen. What’s more, the center display and digital readout on the instrument panel will be configurable. From launch, the new MyLink system will feature a quartet of icon display settings, being named Contemporary, Edge, Velocity and Main Street (seen above). Each has its own personality, with each targeting a segment of the Chevrolet demographic. 2014 Impalas equipped with navigation also make entering a destination easier by streamlining the process down to just a single step. Instead of entering the state, then the city, then the street number and name in a successive fashion, all the information can be filled out on one screen. Hmm. Chevy MyLink is beginning to sound a lot like Cadillac CUE. We’re not sure how we feel about that. to complicate again for Cr,,,,like y said before Cr just start to learning my grand pa VCR..
4.2 inch screen??? I think my cell phone is bigger than that. I think it’s bigger than the base SYNC screens… which sometimes come in colorless monochrome. GM – you should forget the screen and use technology that you pioneered 20 years ago. Put the display on a heads up display on the windshield. I loved the HUD on my ’97 GTP but always wished for more info. Nav info would be great on a HUD! I can just see CR and the Feds getting all wound up about distracted driving. Hopefully they fix that ugly steering wheel before it’s released.